As a commercial building owner or building manager, you already know that going solar can reduce your utility bills. This is especially true in California – one of the most expensive electricity markets in the country. You also know that solar energy is environmentally friendly. And by installing panels today, you dramatically reduce your greenhouse gas emissions. Not only does this make it easier to satisfy carbon-reduction mandates, but this investment also allows you to demonstrate your environmental commitment to employees, customers, suppliers, and other stakeholders. 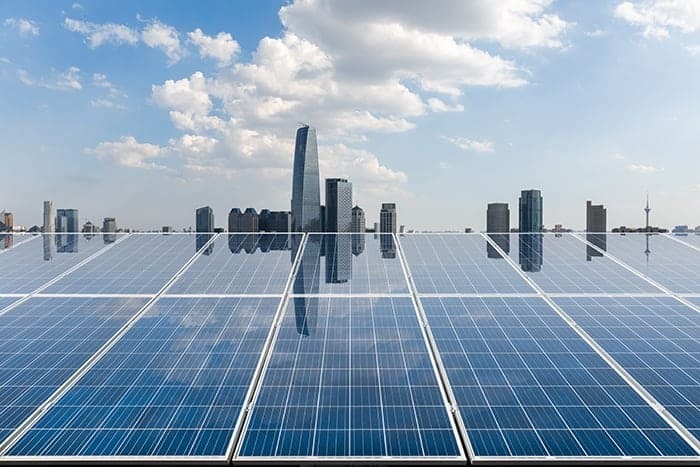 But here are 4 surprising things about commercial solar that you might not know. It’s not simply that using solar is cheaper than using utility electricity. You already know that. But in most parts of the country, the actual process of installing and maintaining solar panels is more cost-effective than sticking with utility power. This is because electricity rates keep trending upwards – while solar prices keep trending downwards. In other words, doing nothing will cost you more. And because OnSwitch offers the lowest solar prices in the industry, we’re able to amplify these savings in most major utility markets. The US government is actively trying to spur widespread solar adoption. And it is prepared to offer a range of generous local, state, and federal incentives to help you make the switch. The most popular of these subsidies is the Solar Investment Tax Credit, which allows you to reduce your IRS bill by up to 30% of the total cost of your solar installation (parts and labor). In addition, you can use accelerated depreciation of your solar system to reduce your tax liability even further. Rather than pay for a new system out-of-pocket, you can “rent” clean solar power instead. Sign up for a 10 to 20-year leasing agreement, and the lessor covers the full cost of installing, maintaining, and monitoring the solar panels on your property. With this solar leasing arrangement, there is no upfront cost to you. You only pay for the solar electricity that your rented panels generate. And these monthly payments are substantially lower than what you currently pay to your utility provider. Moreover, these low rates are locked in for the duration of your leasing agreement. As utility prices continue to climb nationwide, your solar savings only increase with time. The solar landscape can seem pretty overwhelming at first glance. There are so many options, competing offers, forms, and applications. But at OnSwitch, we’ve completely streamlined the installation and financing processes to make going solar as easy as possible. Moreover, we’re able to guarantee the lowest solar installation prices in the industry to ensure you receive unmatched savings – starting on Day 1. To learn how we can help your business become cleaner, greener, and more profitable, request a free solar property inspection from us today.